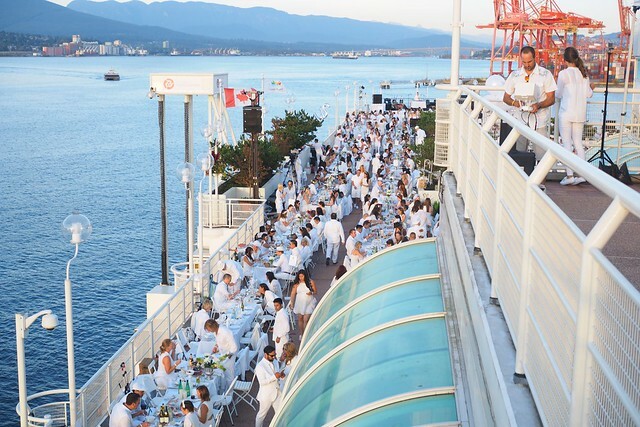 Waterfront—(August 25, 2015) A sea of diners, dressed head-to-toe in their best late summer whites (right before the Labour Day cutoff), celebrated the fourth annual Dîner en Blanc Vancouver dinner party descending upon Canada Place early and staying well into night. 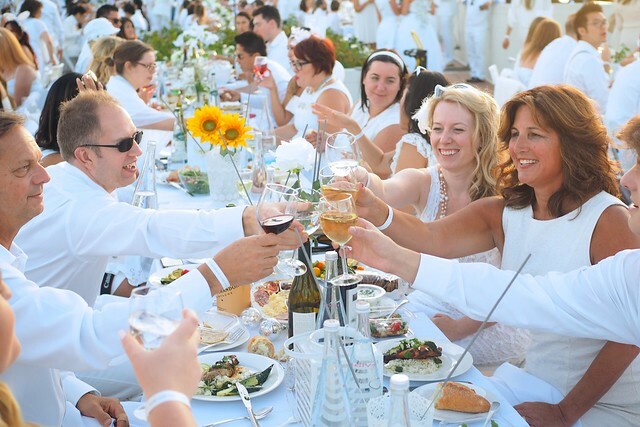 The 4,500 guests (1,000 more than last year) continued the fanciful Parisian style dining tradition and "white dinner" series organized locally (and across Canada) by The Social Concierge. 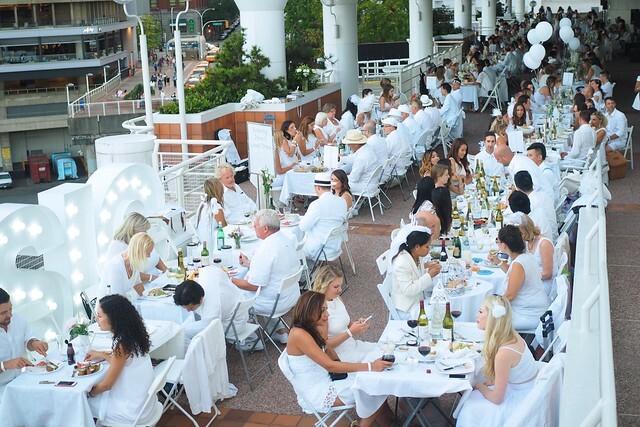 Every year, Dîner en Blanc builds and grows. 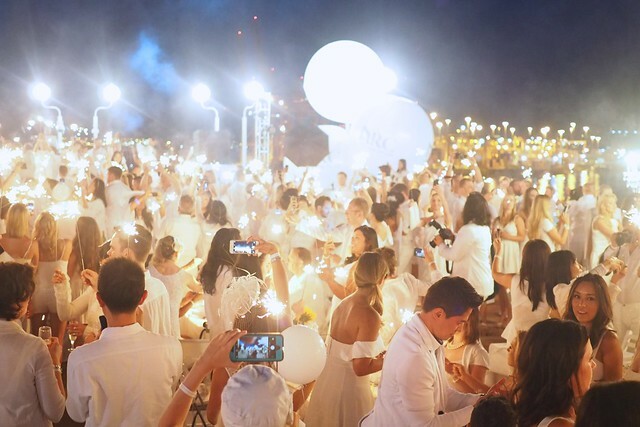 This year, there was a renewed focus on live performances and art installations to create a fuller interactive experience for attendees. 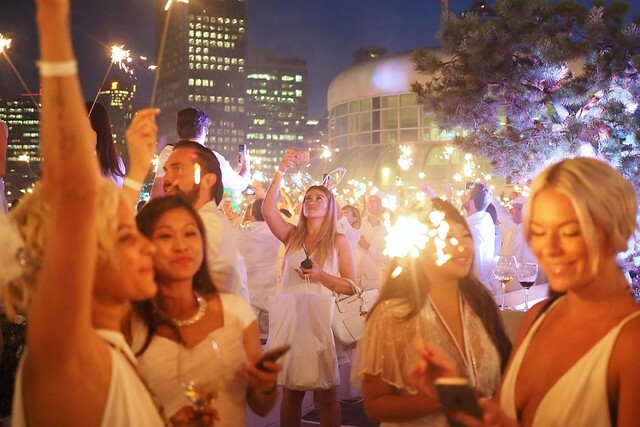 While it might not be for everyone, Dîner en Blanc represents a large scale, outdoor event capable of bringing folks together for a unique kind of celebration previously not thought possible in Vancouver. 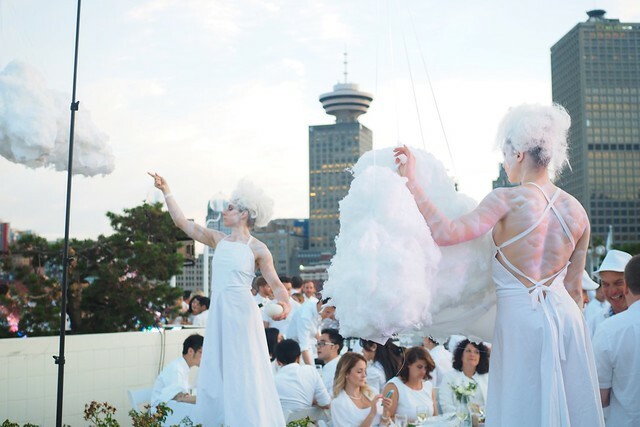 It was well organized madness with so many diners wrapped around the entirety of Canada Place's outdoor space. 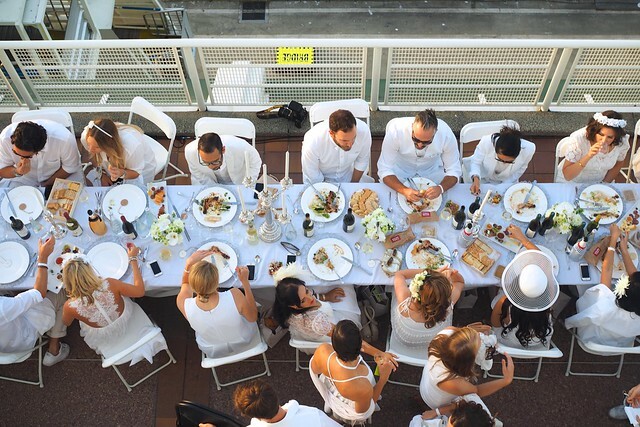 Tables and tables of folks fit in every nook and cranny of the Waterfront location rather elegantly. 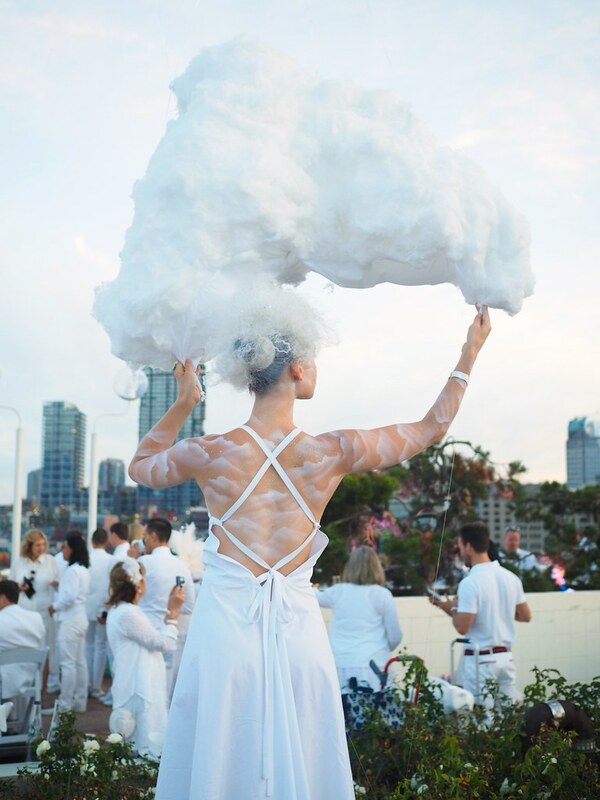 These Dupuis Dance live performers and their interactive "clouds" were a real visual treat and backdrop among many of the human art pieces. 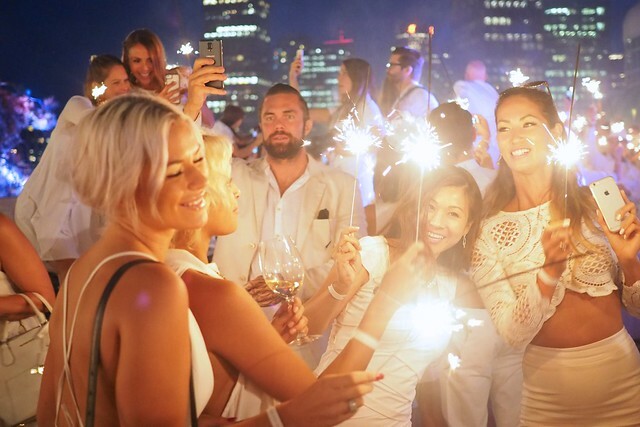 I say it every year but the nine o' clock magic hour when everyone ignites their sparklers in celebration is among the most photogenic moments of the year. 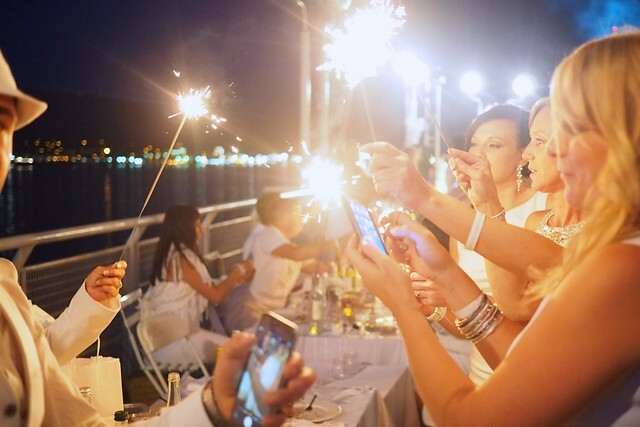 I always scramble to capture an inspired shot of the quickly burning lights in real-time amidst the darkness. Part mystery, part magic, part je ne sais quoi.